The millstone has been taken from around the neck of Bungie, and now it's time to show what they are truly all about. Bungie and Activision have announced that their Destiny partnership has been dissolved with the former to assume full control of the IP after a period of transition. The news came following a meeting between the two companies that saw an end their ten-year partnership early after eight years; Bungie left Microsoft and Xbox in 2010 after concluding their work on the Halo series. “When we first launched our partnership with Activision in 2010, the gaming industry was in a pretty different place. As an independent studio setting out to build a brand new experience, we wanted a partner willing to take a big leap of faith with us. We had a vision for Destiny that we believed in, but to launch a game of that magnitude, we needed the support of an established publishing partner. With Activision, we created something special. 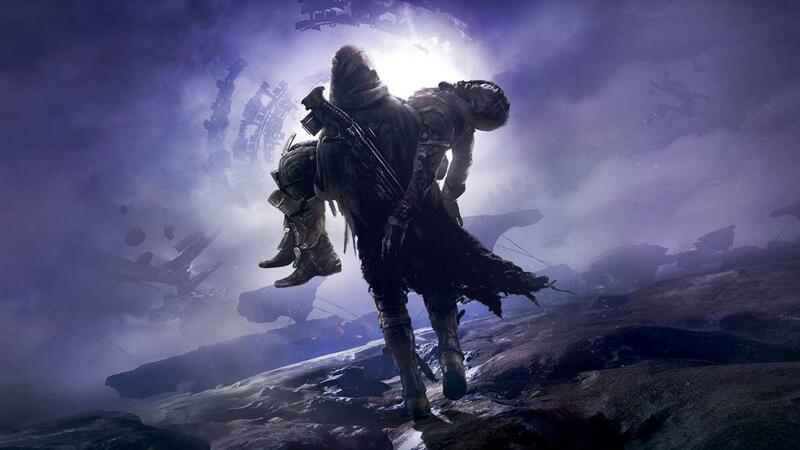 To date, Destiny has delivered a combination of over 50 million games and expansions to players all around the world. More importantly, we’ve also witnessed a remarkable community – tens of millions of Guardians strong – rise up and embrace Destiny, to play together, to make and share memories, and even to do truly great things that reach far beyond the game we share, to deliver a positive impact on people’s everyday lives. The planned transition process is already underway in its early stages, with Bungie and Activision both committed to making sure the handoff is as seamless as possible. With Forsaken, we’ve learned, and listened, and leaned in to what we believe our players want from a great Destiny experience. Rest assured there is more of that on the way. We’ll continue to deliver on the existing Destiny roadmap, and we’re looking forward to releasing more seasonal experiences in the coming months, as well as surprising our community with some exciting announcements about what lies beyond. Thank you so much for your continued support. Our success is owed in no small part to the incredible community of players who have graced our worlds with light and life. We know self-publishing won’t be easy; there’s still much for us to learn as we grow as an independent, global studio, but we see unbounded opportunities and potential in Destiny. We know that new adventures await us all on new worlds filled with mystery, adventure, and hope. We hope you’ll join us there. Destiny 2 will remain on BattleNet on PC and still receive support despite the split. Bungie will remain independent, though they did recently see huge investment from Chinese online gaming company NetEase to support Destiny and other franchises, though the intricacies of this partnership have not been fully detailed. Activision’s stake in the franchise’s development saw them assume plenty of creative control. It’s believed that their input is what has caused Destiny problems since the second game was released: single-use shaders, rushed and uninspired expansions, dodgy XP earnings, and the feeling that it was a game too beholden to shareholders at the expense of its fans — the statement from Activision about waiting for the “full core to re-engage” with the game felt alien and cynical. Forsaken has been something of a renaissance and delivered what players wanted from the second game’s launch, which must have compelled Bungie to cut the chord. There had been rumours that the relationship has been fraught with creative differences often cited — it’s also reported that Bungie employees loudly cheered when they heard the news that they were parting from Activision and going independent. That it’s taken this long for the pair to part ways is the only real surprise. Bungie left Microsoft in 2007 to find more creative freedom and then promptly hopped into bed with Activision, which was a surprise to say the least. It will be very interesting to see how Destiny is shaped from here. You’d expect the experience to remain largely the same, but in terms of monetisation and content, it would be better for there to be fewer updates that are much deeper and worthwhile as well as it gouging the player less. Here’s where we will see what Bungie is really all about, especially with Destiny 3 slated for 2020. It’s unclear just how much of Destiny’s issues are down to Bungie and how much of the blame falls on Activision, but with a re-energised and less restrictive future to look forward to, hopefully Bungie can get back to making waves in the right ways like they used to. Grab a friend, there's a lot to get through here.